Feng Shui expert said that the part of room center has the earth element. Earth elements considered important in the of Feng shui as the ground can give life on earth.If the earth elements is violated, then the life will be affected negatively aura. 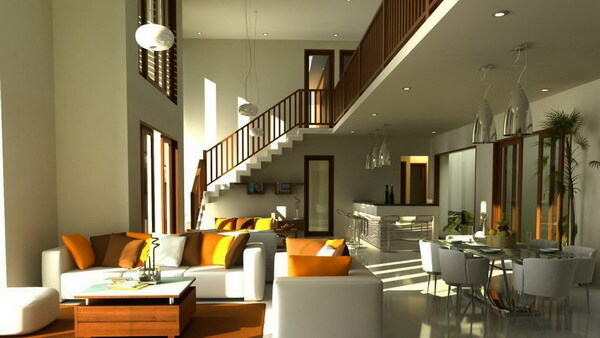 From this sector will be known luck from homeowners and affect the integrity and harmony of the owner. 2. The central part of the house regarded as the center which must be quiet and closed to maintain the stability of the center of the house. If the house has an irregular shape, it could lead to an open house that would be excessive Yang energy. This will result in the flow of Qi energy that will interfere homeowners health. 4. From the role of the “heart of house”, then it is logical to consider in order to maintain the family unity. To improve household harmony, the placement of the family room in the middle sector would make the family relationship more intimate and warm, because this is where all family members gather.